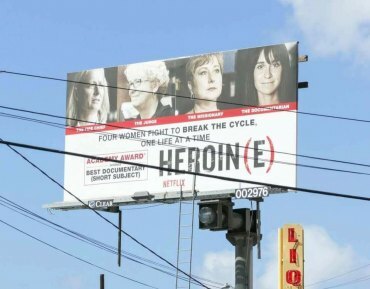 Billboard's read: "Four women fight to break the cycle....the fire chief, the judge, the missionary, the documentarian." 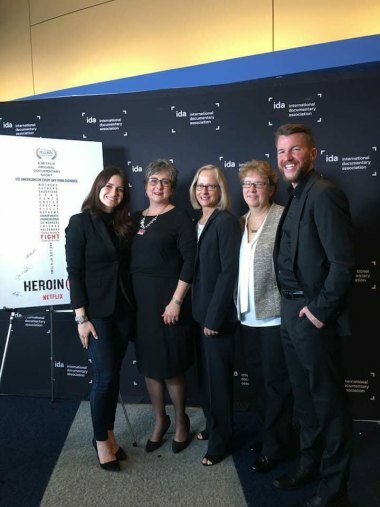 The hype is high for saving life one at a time, which is the theme for the exceptional woman who have earned an Academy Award nomination for depicting their triumphs and struggles in the fight against drugs in Huntington, WV. "We're being received well," Jan Rader, Huntington fire chief told HNN from Los Angeles hours before the Oscar ceremony. During an NPR interview Rader said, "It's crazy, but we pinch ourselves everyday. We're ecstatic." Judge Patricia Keller said, "We're excited and nervous. I am not really that dress-up girl, and they won't let me bring out my robe to wear or let Jan wear her fire chief uniform." Rader spends her days in an endless cycle of trying to revive addicts who have overdosed. Keller is the judge of Huntington's drug court where she administers justice and compassion.